With MotoGP testing set to begin in less than a month, we see some interesting stories about the teams and what could possibly happen in the season to come. Not only do we see major changes to some of the teams, but we’re looking forward to seeing how everyone adapts to the new regulations as well. With the schedule mirroring last year, we yet again see 19 races for the season ahead. The first interesting part would be the fact that one 2 of the 22 teams remain the same with the same riders. It’s bound to take some time to get used to all the changes and remembering where everyone is racing, but it also allows for some new excitement as we see what team and rider gets across the line first. With all the stories going around, there’s sure to be a lot to keep an eye on, which is why we’re giving you the most interesting ones right here, making it a little easier to keep up with everything happening in MotoGP and staying updated on what’s to come in 2019.
Who Would be the Rookies Worth Watching? In 2018, we saw an amazing battle for the best of the rookies, and it was actually close towards the end as Franco Morbidelli from the Honda team just managed to stay ahead of Hafizh Syahrin from Yamaha. In fact, it was only 4 points in total splitting them by the end of the 19th race of the year. Even though Morbidelli managed a best position of just 8th, he still managed to claim the rookie title with a total of 50 points. With all the changes for 2019, we actually have four racers who might just have what it takes to battle it out for the rookie title this year. They’ve all upgraded from MotoGP 2 and show great promise as they head to the track with MotoGP in 2019. First on the list and the most likely to take the title is Joan Mir who joined MotoGP after just one year with the intermediate class. He will be on the Factory Suzuki bike where he is replacing Andrea Iannone. We’re expecting the new rider for Pramac Ducati, Pecco Bagnaia, to make some impressive moves as well. He managed to claim the title in MotoGP in 2018 and will now be joining Jack Miller in MotoGP. Could Miller have it in 2019? One of the biggest stories to look forward to is with Jack Miller who is now joining his 5th year in MotoGP. Sure, he isn’t a new rider anymore, but he is only turning 24 this year, and from what we’ve seen, he has a lot more to provide. Well, 2019 might just be the year where he can go all out and get the best results. Of course, he would firstly be taking care of the new addition being Bagnaia, but with the new 2019 Ducati, we can expect to see Miller crash a lot less and possibly even make a difference to the leaders. The Petronas RST team now becomes the new satellite team for Yamaha as it replaces the Tech3 team for the 2019 season. Earlier this week, the team revealed their new colours for the 2019 season at their Twin Towers located in Kuala Lumpur. 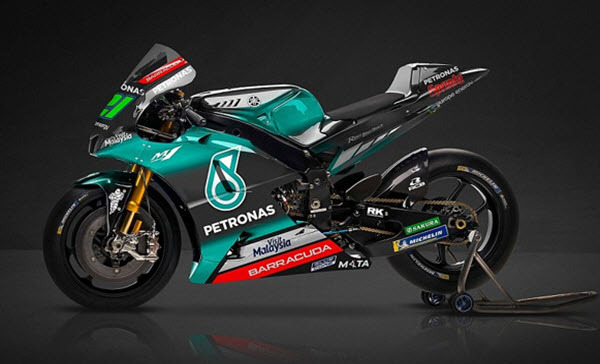 The team made their debut in 2018 on a bike that was mostly black, but now they strike with an attractive theme that represents the primary sponsor, Petronas right in the centre of the fairing. It’s accommodated by black and an interesting shade of turquoise, which fades from the darker colours and really allows the sponsors to stand out. The racers are receiving new outfits, which are in line with the premier class of course. There represent a similar design and have been created by SIC Racing who have been involved with multiple forms of racing. 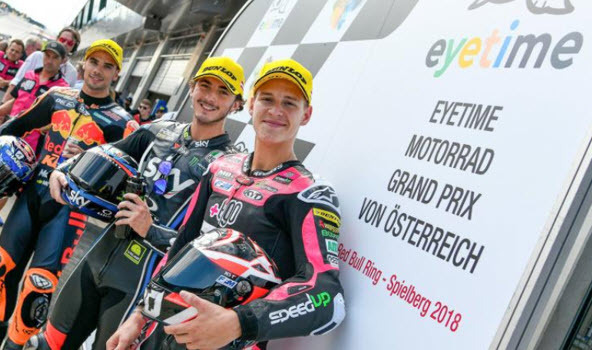 Not only are they owned by the Sepang Circuit, but they also have programs in the Moto2 and 3 races where they’ll claim podiums with Jakub Kornfeil and Johann Zarco. The team manager, Wilco Zeelenberg said they aim to become the most powerful and the very best in MotoGP. He joined the RST team from the Works Yamaha squad. The team also includes Valentino Rossi and officially the youngest MotoGP rider, Fabio Quartararo who is only 19 years old. Maverick Vinales and Rossi will be performing as per usual on the fine-tuned A-spec bikes while the rookie will take on the B spec and show what he is made of for his promising career with the RST team. It seems as if everyone is looking forward to the adventures ahead as the new Yamaha team sets their sights on the track. The MotoGP action is bound to start soon, and all the fans are looking forward to seeing how it goes with the new merge. The fact that Valentino Rossi is part of the team already gives everyone a lot of hope, but we’ll have to see how it goes against the rest of the field, especially against the hot Ducati teams who’ve managed to make some major shifts in recent races. It would also be interesting to see how the new team handles the changes for 2019, including the adjustments to make all UMI unique a standard among all teams. These units provide important data about what the leaning angles of the bike is, which is then used to apply changes to the bike as it feed info to the team and the bike’s computer box. It would be quite impressive if the new rider, Rossi and Maverick manages to get out the gates with brilliant set ups and manage to bring the competition to a whole new level for the other teams. There’s no doubt that the racers have the talent, we’ll just have to wait and see if the new team has what it takes to back them up. If your bike just isn’t running well, misfiring or just not having the power it should, the carb would be one of the main places where your issues could be. Of course, it’s well worth checking out the ignition timing and the spark first, but once you’ve confirmed those are in good order, it’s best to get the carburettor cleaned out and in good order. Getting the carb sorted is actually quite an easy job and you’ll only need the basic tools along with a place to make a mess and some decent carb cleaner. Be sure to get a big can with a longer nozzle as this always helps to get into those smaller places. All bikes are different, but the carb(s) are usually attached in a rather simple way. Most simply use 2 screws attaching it to the head of the engine. Be sure to remove the manifold with the carb as you need to inspect it for cracks and possible leaks. Before you remove it, ensure the throttle line is detached and that the fuel line is removed as well. Take the carb out as level as possible as there will still be petrol in the float bowl. A carb is really easy to take apart, but it’s always worth being careful when you open it and ensure noting jumps out that can’t be found again. There should be around 3 screws holding the float bowl to the carb from the bottom. Once you remove these screws, you should see the jets, the float and the needle and seat. This is where you would want to be and where all the action happens. First things first, inspect the float bowl for any dirt, dust and even sand as this would be a great indication as to the condition of the jets. Most bikes only have 2 jets, the idle and running jet. There are some bikes with a third, which acts as a second stage at much higher RPM. You’ll see the jets have a slot to fit a Philips screwdriver that you can turn anti-clockwise to remove it. The running jet has multiple holes in it while the idle jet is much simpler. To clean these, do not use any brushes and don’t stick anything don’t the jet. All you need to use is the carb cleaner as these cans have more than enough pressure to blast them clean and get the dirt out. It’s well worth cleaning it on a white piece of paper as this would show if anything comes could and could be the reason for your problem. Make sure you can see through the jet holes and ensure the carb itself it clean 100% before putting it all back together and getting it back on the bike. It might struggle to start a little, but as long as your idle and air screws are in the same position, you’ll get it going without any problems. As a new rider of someone who is interested in getting onto motorbikes, you might be looking at a big flashy sports bike that has lots of power and the ability to run close to 200 miles per hour. 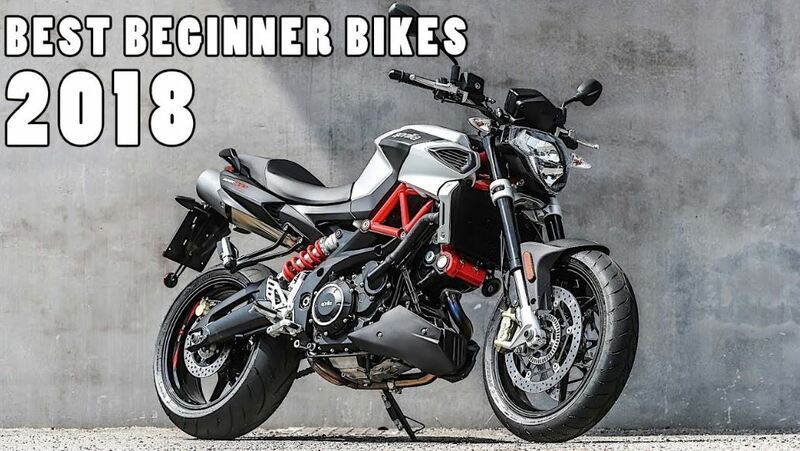 While these bikes are extremely exciting and certainly have what it takes to give you a thrill, it is important to begin and a couple of steps back and take the time to really understand how these bikes control and what you can do with it. There have been way too many people who kept on a big 1000cc bike with little experience and end up crashing before they even hint second gear, which is completely understandable when you consider the amount of power the bigger bikes have. Below, we look at the best option for new riders and how you can get the best experience in the shortest amount of time. Not only will the experience help you control the bike, but you’ll learn how to have fun and why you need to respect it at all times. Yes, that’s right, you would want to start off road as this gives you the ultimate experience in handling a motorbike. Not only will it teach you how to react when a bike tire slips, but also the control you need to take corners and understand the limits. Sure, dirt bikes and superbikes are completely different, but it is the way you react while riding that makes the big difference. Surprisingly, your skills from a dirt bike can easily be used on a superbike, especially with the way you control the bike through corners, stopping and even accelerating. There are certain things dirt bike riders do that never get learnt by those who begin with a road bike. This might pop your bubble again as you might be thinking about a powerful 450cc off-road bike or even a 500cc. It is important to remember that these bikes are heavier than the 125cc and even the 250cc. If you really want to have fun, avoid giving hurt bad and really focus on the skills you need to take advantage of a motorbike, it is best to start with something that is as light as possible. Even if you weigh around 200 lbs, a little 125cc will have all the power you need to have fun off road, pop wheelies and go more than fast enough. Anything from 2008 and newer is a great choice, especially if you can get a 2 stroke as these have unbelievable amounts of power and are extremely fun to play with. Don’t rush yourself to get a big road bike, but rather take the time with the off-road toy and learn how to ride properly. If you go play with the bike every weekend, it will be a matter of just a few months before you do just about everything you’ve ever wanted to, which is a good indication that you have much better riding skills already, making it a good time to good a bigger bike for the road. Whether you’re looking for some extra thrill above the 120mph mark or to get some additional power while riding off road, there are always reasons to get more power from your wheels. It’s important to know your goal as the tuning of your bike might be completely different. For example, when we look at sprocket sizes, we’d use them to increase the bikes speed by either making the front bigger or the back smaller while for better off-road power, which would be down low, you’d want to either decrease the front and increase the back. If you happen to put a bigger back sprocket on a bike that already has loads of power down low, you’ll simply turn it into a wheelie machine. So, now that you know what the end goal is (higher speed or more low power), you can have a look at the following options and change your performance in ways you need. Some of these would be for both options, making them the ones well worth starting with. 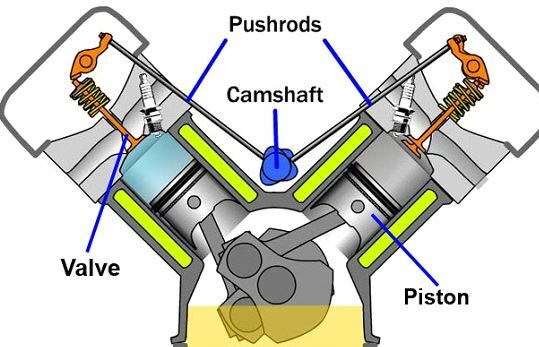 An engine needs air, petrol and spark to ignite, but most of the time the factory-tuned engines done really have the best flow as they need to consider restrictions, efficiency and many other aspects of the bike. Sure, superbikes already provide excellent engineering, but there are still ways to improve on the amount of air entering the engine. You can start with the basics, including a better filter (K&N is a great way to go). Alternatively, replace the head with something like a mushroom head, which could provide up to 50% more air into the motor. There are also gas flowing options, which would mean stripping the head off and taking it for engineering, but if you’re on the hunt for power, it might just be the best way to go. With more air, you’ll need more petrol as these go hand-in-hand. In most cases, thins is easy to use as it consists of quick changes to the carb. Those who have injection system might need to take the bike for tuning, but if the mods aren’t too much as once, you should at least be able to ride the bike to where it’s being tuned. However, to avoid burning spark plugs, rather have them come to you. Those with carbs could also look at adjusting the air mixture of their bike by checking the colour of the spark plug as it tells you whether the plug is running hot or cold. Tuning the airflow has a similar effect as the sprocket as some tuning would give it a big harder drive down low while other might take away from that and rather add some additional horses to the top end. Upgrading the carb’s jets might be a requirement with major changes in air flow, but these should be easy to find. It might require some research and you’ll need to know what you’re running at the moment. If you’re new to all this, best have a friend or mechanic show you the first time. Sure, there are motocross boots out there that less for less than $150, which provide excellent protection for your ankles and skins. However, with a full MX kit, you need boots that don’t only accommodate additional gear such as slip-in knee guards, you’ll also keep better protection when you head off to terrines that are a little more demanding. When it comes to MX boots, it’s not just about having the best protection or having something that looks stylish, it’s also important to choose boots that are comfortable. There are many boots out there ranking well over the $500 mark and some even over the $1,000, but if you’re just looking for boots that work well both on-road and off-road while giving you excellent protection, choose one of the following. At just $139, the Answer AR1 is one of the best choices as it has all the features and benefits of the more expensive options without the same price tag. The outside offers a stylish back boot with white soles and a metal tip for maximum toe protection while it also offers a flatter design on the inside of your ankle for maximum move-ability and grip to the motorcycle. Unlike other boots of around the same price, the Answer AR1 also features a wider top, making it really easy to add slip in knee guards that let keeps your kit in place. Furthermore, the inside of the boot is well-designed with materials that won’t let you own after using it just a few times. It also includes the D3O in-sole with shock-absorbing capabilities and for the best comfort. 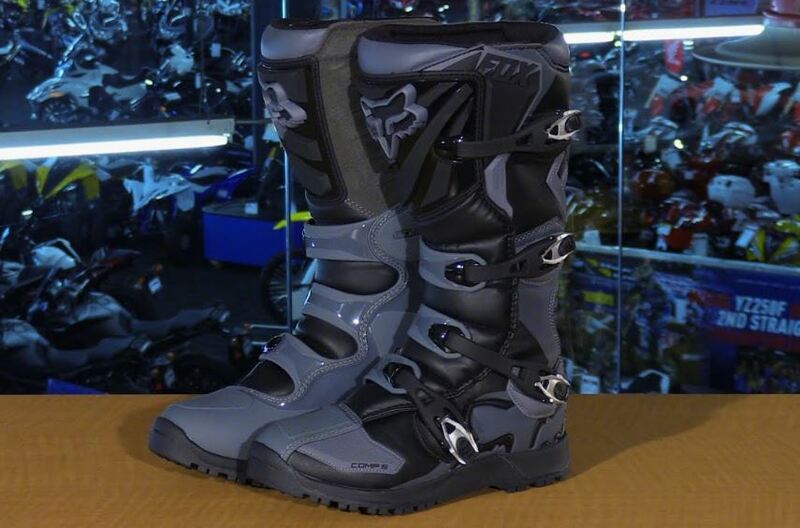 The Fox Comp 5 boots have gained an excellent reputation as excellent quality and highly secure MX boots. Sure, it’s a little higher in price, but still comes in under the $200 mark, making it one of the best entry level boots. It offers a molded sole and has a much better finish overall. It providers more shin protection than most other entry level boots while also offering nicer buckles that feature aluminium for a stronger and more secure fit. It provides additional protection around the toes without having the metal brace, making the boot look better while also giving you a low profile finish for excellent riding comfort. Another advantage is just how flexible it is, even as brand new, adding yet another aspect to comfortably. The interior consists of high-quality materials, offering a long-lasting option, no matter what you’ll be using it for. Now, these are the most expensive on the list, which is expected with the brand. However, it’s well worth taking out the additional cash and investing $199 in your safety as they have what it takes to give you the ultimate in comfort and safety. The boot is available in 3 colors and provides the features you’ll commonly see with higher priced boots, including an actual flex system with moving parts that allow you to put it on for the first time, have flexibility and don’t keep to wear them in. It offers much better protection all around, starting with the heat shield on the inside of your leg through to the additional padding on the outside. The boot also includes a metal tip, hard toe cover and excellent internal material for long-lasting boots. Hopping on your off-road bike is a lot of fun and allows you to discover all types of brilliant roads that only few others have found in the past. It doesn’t matter where you stay, and there’s always a place where you get to have the back wheel slide out as you kick up some dirt for an awesome day of fun. While it’s all fun and games, it’s important to remain respectful of the powerful machine and understand it’s a dangerous sport that could lead to serious injuries without trying too hard. The kit you wear is by far the most important as this is what protects you from hitting your head on a rock or going straight into a branch that smacks on your chest. We all want to have fun on the bikes, but the last thing we want is to end it with a rush to the hospital or worse. So, whether you’re a beginner or pro, here’s just some of the equipment you need as part of your protective kit. This is one area where going cheap isn’t optional. Think about it this way, if you can buy the bike, you need to ensure you can afford an approved helmet as well. If you can’t afford both, start with a smaller bike, but don’t even cheap-out on the quality of your helmet. For off-roading fun, it’s best to choose a helmet without a visor and get a set of goggles instead. You’ll want to ensure the helmet had passed the quality and drop tests as many of the cheapies actually shatter when you knock them really hard the first time, like falling on a sharp rock for example. Even though you’ll be paying good money for a helmet, if you fall with it and kick it hard to a point where you say to yourself “thank goodness for the helmet”, it’s time to replace it. Just think about it, if go to you racing down a dirt road with sand and small sharp stones and happen to slip and small, your log just would be quite the same if it gets stuck between the bike and the road, right? Chances are the doctor would have to amputate. Oh, and ask your doc what hands look like as well. Isn’t it just better to get decent motocross boots and avoid all the bloody mess? And no, we aren’t talking about your dad’s old safety boots with a steel tip or your mom’s winter gloves either. Choose boots that have hard souls and are made for motocross as they ensure everything from your ankle through to your toes stay together, even if you slide foot-fight into a sharp rock. Your hand require hardened knuckles and protective padding and help keep your fingers together. Once your head and feet are covered, it’s time to take care of your back and chest with a decent set of body armour. There are many different types out there, each offering an excellent fit and are completely adjustable to your body style. These are great for all falls as they give you the best protection when you fall at slow speeds against rocks or when you and slide for a good couple of meters. 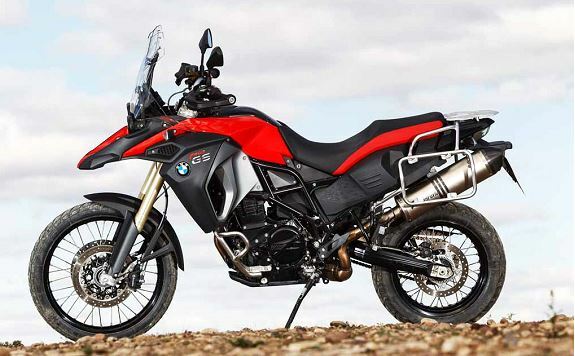 The BMW adventure series has grown to include multiple models, starting off with just the 650GS and the 1200GS you now have access to a much large variety. The 650 now comes in the new F700GS, which might be consider more of an on-road bike, but it still carries the off-road abilities of its older brother. The 1200GS remains the monster it’s always been, deliver 125bhp and having all the abilities you want from an adventure bike. The manufacturer also introduces the F800GS, completing with the 1000cc bikes from other brands and simply smashing them all with one of the best designs that deliver the ultimate in adventure opportunities, in ways even better than the 1200! So, what makes the F800GS so good and why doesn’t BMW create a 1000cc adventure bike? The 1200GS has always been somewhat intimidating to most who seek adventure bikes. It’s huge and doesn’t seem all that easy to get though tight spaces. Although, it really impresses with what it can do, but what BMW introduces with the lighter and taller 21” wheel F800GS simply calms all those concerns without substituting much on the power and ability of the 1200. With just about all adventure riders being able to get through more places with the 800, how can you not want it more than the bigger 1200? One of the biggest changes from the 1200 in the bigger and comfier seat that allows you to travel all day, but with 800 is far from uncomfortable and still sits much better than most competitors. The older F800GS also lacked the huge fuel tank, but with the introduction of the F800GS-A, you now get the same incredible distance, thanks to a massive 24-letre tank. With the bigger tank beneath the seat, it’s no wonder BMW beefed up the front of the bike as well. Not only making it a little wider, but also including the bottom crash frame as well. Some would look at the wider bike and not be a fan but go ride it in rainy weather to discover just how brilliant this design is. Those who’ve had the pleasure of living with the older F800 for a while would know it gets a little vibrational above 120km/h as the gearing on the bike is rather low to give it that additional grunt while off-road. The new bike has the same excellent off-road features but comes with another 33lbs that allows the vibrations to be a lot less and much better for long distance riding. Then there are also small touches that enhances the benefits of the bike beyond believe. 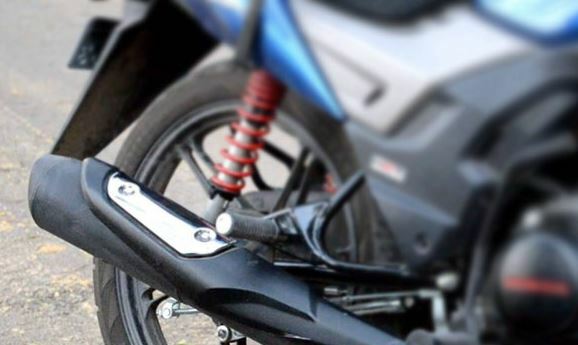 The throttle features a drive-by wire that makes it incredibly sooth, no matter whether you’re on-road, off-road or just in some sticky situation. Talking about those tight corners and stick spots, with a steering lock that’s 7% steeper than your average adventure bike, getting around objects, turning around or just knowing the option is there certainly makes a massive difference.